One way to help relieve traffic congestion, becoming less dependent on solo-driving, is to live and/or work near public transit. VTA partners with communities and developers to encourage mixed-use, mixed-income development near VTA-owned properties throughout Santa Clara County. “Transit Oriented Development,” as it’s called, helps to increase long term revenue for VTA as well as increasing ridership on bus and light rail. Curtner Light Rail Station Park and Ride lot, which is currently underutilized, is a 3.7-acre property available for future development, located along SR-87 and Curtner Avenue in San Jose’s Willow Glen/Cambrian neighborhoods. Blossom Hill Station property is approximately 3.2 acres located along Blossom Hill Road at Canoas Creek, available for future development of mixed use, mixed income housing and commercial use. Milpitas Transit Center property is located in the southern portion of the City of Milpitas, is a 1.7 acre site nestled along Great Mall Parkway and Montague Expressway, and adjacent to the Milpitas BART Station and VTA’s Light Rail system. 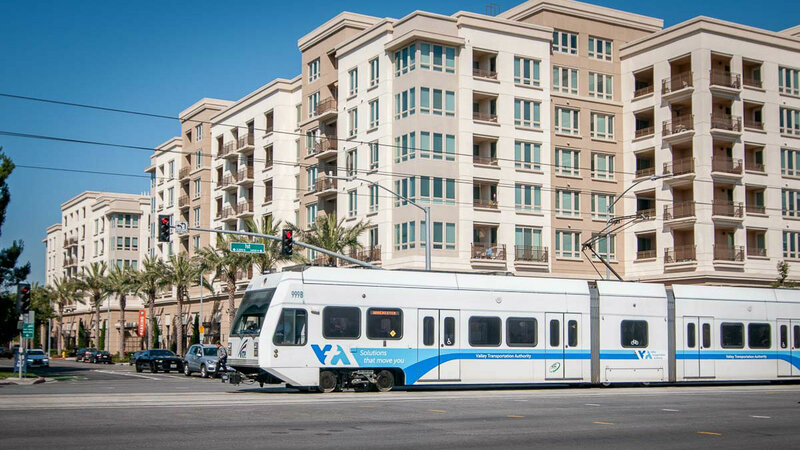 VTA has been holding public meetings about these development opportunities. The upcoming webinar will delve into details of the process and the widespread benefits of transit oriented development.